Please join us for a complimentary continuing education course in Woodtrace sponsored by Friendswood Development Company. Enjoy a light breakfast and lunch on us and earn 4 hours of TREC CE credit. Take State Highway 249 north. 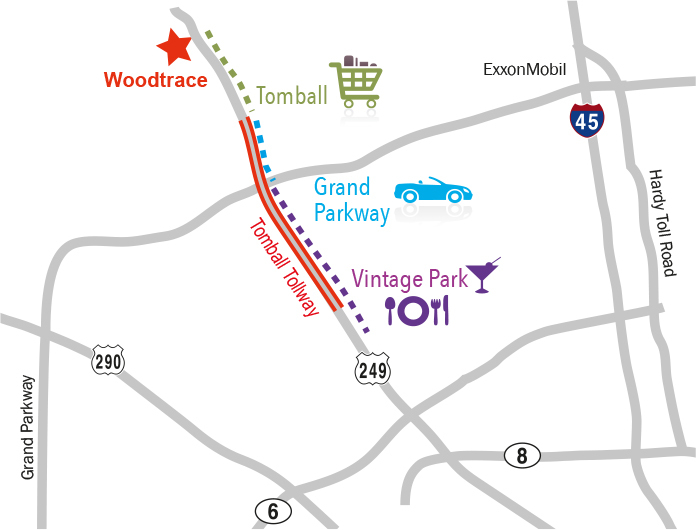 Go one mile north of Decker Prairie Rd./Hardin Store Road and turn left on Woodtrace Boulevard into Woodtrace. Turn Right onto Woodtrace Circle. Left onto Mill Creek Way. Drees Model will be located on the right.